Top Animation News is a weekly column that rounds up the biggest, best and breaking stories from the animation industry. This edition covers February 1 to 8, 2019. 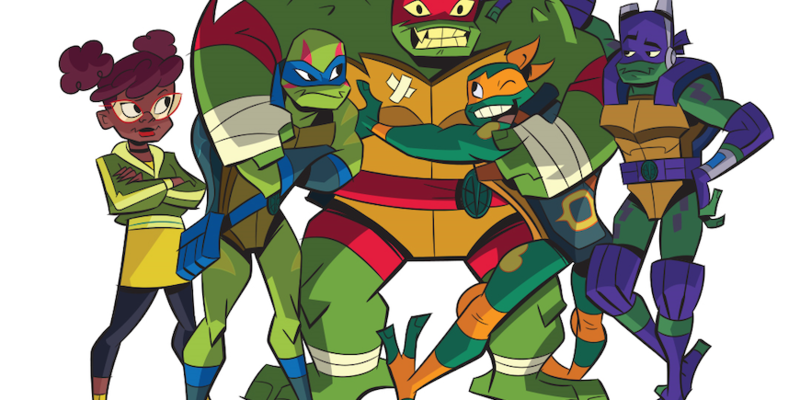 Nickelodeon Studios will be producing two animated films for Netflix based on the former’s hit children’s series The Loud House and Rise of the Teenage Mutant Ninja Turtles (produced in Toon Boom Storyboard Pro and Toon Boom Harmony). Bob Bakish, CEO of parent company Viacom, sees the pact as a promotional exercise, with content on the streaming giant driving viewers to its existing channels. Nickelodeon Studios currently produces Pinky Malinky and is working on the live-action Avatar: The Last Airbender for Netflix. Stream all the Nickelodeon Studios-Netflix deal details on “Variety”. Spider-Man: Into the Spider-Verse took home seven prizes at last weekend’s 2019 Annie Awards including Best Animated Feature, Best Director (Bob Persichetti, Peter Ramsey and Rodney Rothman) and Best Writing (Rothman and Phil Lord). This is doubly exciting news for the Sony production as the Best Animated Feature winner has gone on to Oscars gold four out of the last five years. Ottawa-based studio Mercury Filmworks also had a big night at the Annie Awards, with its productions Hilda, Disney Mickey Mouse and Rapunzel’s Tangled Adventures scoring wins (they are all produced in Toon Boom Storyboard Pro and Harmony). Check out the full list of 2019 Annie Awards winners on “Collider”. Hit Netflix adult animated comedy series Big Mouth has released a trailer for its Valentine’s Day special (premiering today, February 8) and it is everything fans have come to know and lust. Following a group of seventh graders going through the ups and downs of puberty, their hysterical hormonal adventures get super-sized in this 45-minute holiday edition. Netflix has already announced Big Mouth season three, though it has yet to get a release date; the series is produced in Toon Boom animation software. Watch the NSFW Big Mouth Valentine’s Day special trailer above and read more on “GQ”. The Springfield shenanigans of Homer, Marge, Bart, Lisa and Maggie will be on the air for at least two more years, with The Simpsons receiving a 31st and 32nd season. By the end of the deal, there will have been a record-breaking 713 episodes of the comedic cartoon. The Simpsons is the longest-running scripted primetime series in American television history and is produced with Toon Boom animation software. Toon into The Simpsons double season order on “Rolling Stone”. Created by South African animator Mike Scott, Nickelodeon’s MooseBox unites a classic video game aesthetic with contemporary animation, brought to life by Johannesburg-based 2D studio Mind’s Eye Creative in Toon Boom Harmony. The children’s series follows two best friends, Moose and Catbox, as they explore and live in a world inspired by 1980s gaming. “To me, 2D animation always seemed to lend itself better to MooseBox. We get pretty expressive with the characters in the episodes and, while that could be possible in 3D, some of my favourite IPs lose their charm when they go into 3D,” says Scott. Read the full MooseBox interview on the Toon Boom blog. Keep reading for more Top Animation News below! Two upcoming PBS Kids series, Molly of Denali and Xavier Riddle and the Secret Museum, have gotten premiere dates: July 15 and November 11, respectively. The former is the first animated series to have a Native American character as the lead. Xavier Riddle and the Secret Museum uses historical heroes to teach children ages 4 to 7 social-emotional skills, and was animated in Toon Boom Harmony. Learn all about PBS KIDS’ upcoming animated series on “The Toybook”. The Philippines has a history as a hub for international animation service work and now the next generation of artists will be trained in the global industry-standard software. Based in Makati City’s Central Business District, iACADEMY is the country’s first Toon Boom Centre of Excellence (COE), though it has been teaching the tech in its curriculum since 2007. Students will learn future-proofed pre-production and animation skills in Toon Boom Storyboard and Harmony, reinforced with real-world experience via a 960-hour college internship. 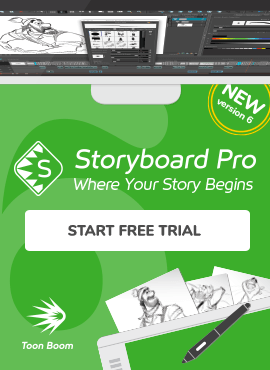 Study up on this Toon Boom Centre of Excellence animation program on the iACADEMY website. While animated blockbuster features in North America often skew 3D and are family-focused, their European peers decidedly buck the trend. Similar to Denis Do’s Funan (produced in Toon Boom Storyboard Pro and Harmony) tackling Khmer Rouge-era Cambodia last year, 2019 is packed with topics covering decidedly adult content including war, fascism and emigration. Among the lighter, but still mature, options on the release calendar is Memoirs of a Man in Pajamas (animated in Toon Boom Harmony). See how European animated features are thematically maturing on “Variety”. 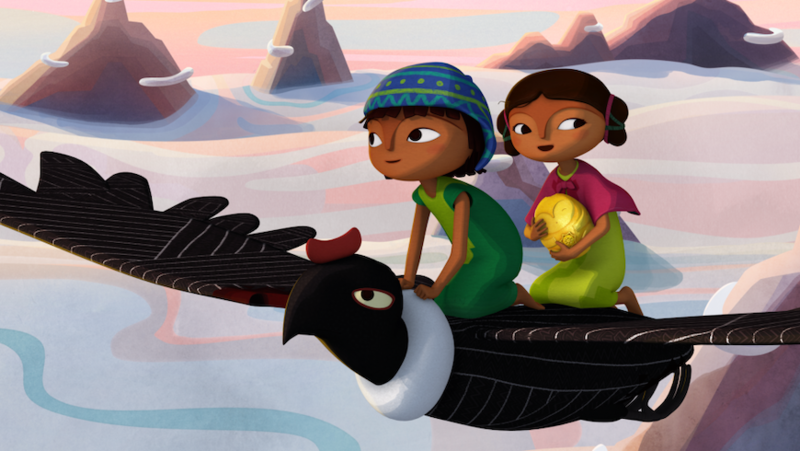 Juan Antin’s animated Andean adventure Pachamama has had a great month — first being nominated in the Best Animated Film category at France’s prestigious Cesar Awards and, this week, it was announced it had been acquired by Netflix. Following a young boy who lives in the mountains and dreams of being a shaman, it will start streaming in June. “Pachamama has been, for me, a very long journey, guided by a message that came like an echo from ancient times — a message of love, respect and gratitude to our cherished Earth. Thanks to Netflix, I am thrilled to share this awe-inspiring story with a global audience,” said Antin in a statement. Dig into Netflix’s acquisition of Pachamama on "The Hollywood Reporter." The Walking Dead creator Robert Kirkman has recruited all-star voice talent for Invincible, his upcoming Amazon Prime adult animated superhero series. The constellation of a cast include Steven Yeun (The Walking Dead), J.K. Simmons (Counterpart), Sandra Oh (Killing Eve), Seth Rogen (Knocked Up), Gillian Jacobs (Community), Andrew Rannells (Girls), Zazie Beetz (Deadpool 2), Mark Hamill (Star Wars: The Last Jedi), Walton Goggins (Ant-Man and the Wasp), Jason Mantzoukas (The League), Mae Whitman (The Duff) and Chris Diamantopoulos (Silicon Valley), among others. Invincible follows a 17-year-old boy whose father is the world’s most powerful superhero and his journey to joining the family business. Soar into the Invincible voice cast details on “Gizmodo”.